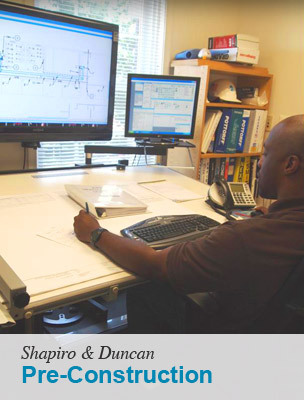 Shapiro & Duncan provides an array of money saving pre-construction services to owners, architects, engineers and general contractors. We ensure clients obtain competitive prices by preparing a detailed project scope analysis prior to soliciting proposals from preselected and pre-qualified subcontractors and vendors. By using on-screen takeoff, we have refined the estimating process to produce extremely accurate quantity takeoffs that automatically apply current cost data. Employing the principles of value engineering at the design stage of a project, we develop optional or alternative methods for delivering an equal or better result at a reduced cost to our clients. 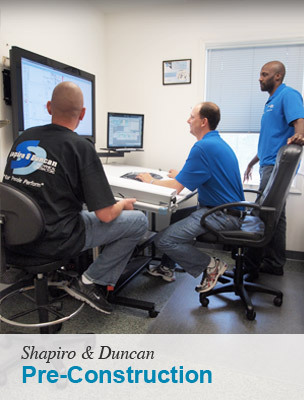 Mechanical equipment manufacturers often have long lead times. 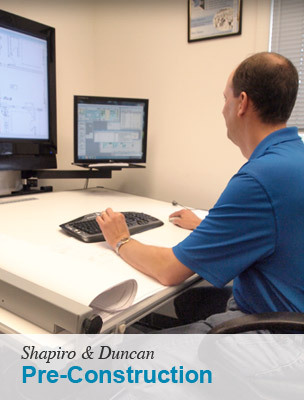 Through advance equipment procurement, we can significantly reduce construction schedules and project costs. Advance purchase ensures delivery when equipment is needed, without “quick ship” or “express delivery” charges. 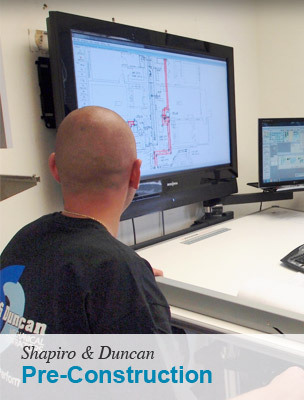 For renovation projects, we conduct a site condition survey to develop a list of existing systems and types of equipment. If existing equipment is relatively new and in good condition, it can often be incorporated into the new design to save on new equipment costs for our client. To reduce costs for unforeseen or concealed condition claims during construction, finds from site condition surveys also can be incorporated in design documents.